Posted by: Mageon 2016/8/20 7:10:00 6904 reads I am pleased to announce the release of xmcontent 0.21 final! •	Individual permissions for all contents. •	Keywords (SEO) per content editable. •	Description (SEO) per content editable. •	Header and footer Customizable on the module home page. •	Use a css file personalized by content (you can add a custom css to a content). •	Use a template file personalized by content (you can add a custom template to a content). •	The XOOPS search is integrated. Problem: Profile page does not show date. 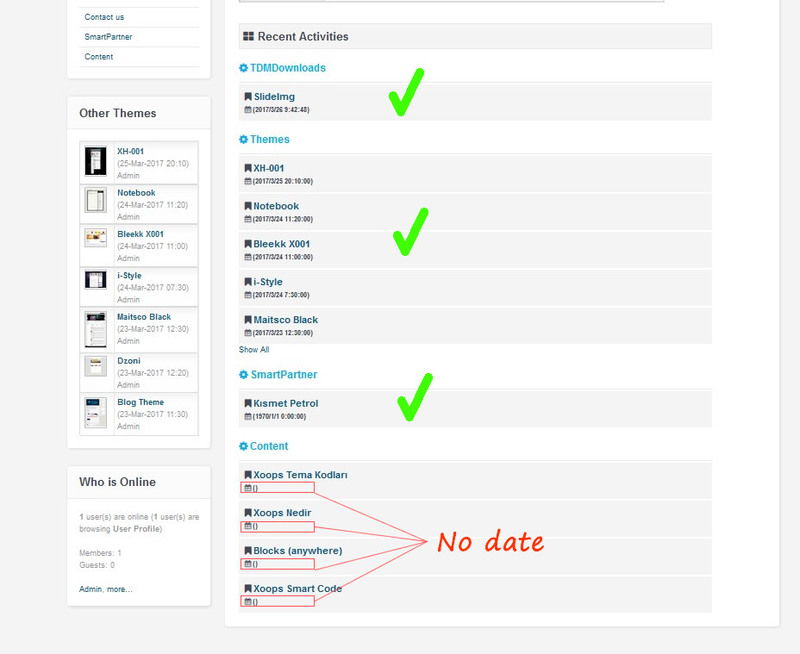 This is not a problem, xmcontent does not offer a date. We can not display something that does not exist ... Xoops should not display anything if it's empty.